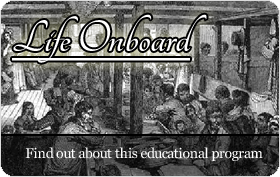 This week we read about some discontent and ill-feelings amongst the passengers onboard the Africaine. Gouger describes his attempts to provide some amusement by bringing together a group of passengers to participate in drill exercises and marches. It appears that life onboard is governed by tight schedules and routines. This week we’ll take a closer look at how time is organised and measured onboard. What routines and schedules are passengers expected to follow and what role does good time management play in keeping everything smooth sailing? 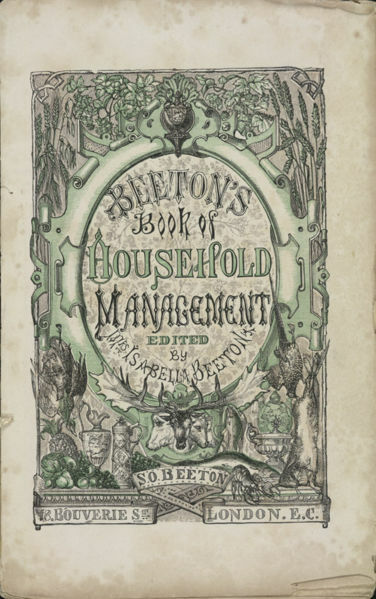 Cover of Mrs Beeton’s Book of Household Management, 1861. 1. What evidence is there that time is recorded and organised onboard our vessels? 2. 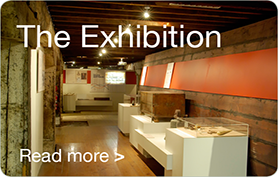 Why is it important to measure and record time regularly throughout the voyages? 3. Why do you think it is important to have structured routines for passengers and crew onboard? 4. What evidence can you find in our journals over the past 22 weeks of the routines followed by passengers and crew onboard our vessels? 1. Pose inquiry questions about how people have measured time in different periods of history. Check out your knowledge with this quiz. 2. The calendar most commonly used today is the Gregorian calendar named after Pope Gregory XIII who adjusted the Julian calendar in 1582. Find out how this calendar developed. What other types of calendars have been used throughout history? 3. What role does measuring time play to successfully navigate a vessel at sea? 4. How do time zones differ around the world? Use a world clock to find out and compare the current time in other countries and time zones. Create a class glossary of words used to describe time. What do the terms BCE and CE mean and how are they different to BC and AD? Develop questions to help you research about how clocks and the measurement of time has developed over time. Analysis and use of sources Use search engines to find examples of calendars from different times in history. What do these calendars tell us about how people from the past have recorded and understood the passing of time? Perspectives and interpretations Read through some of the journal entries in this website to compare how our authors refer to time. What kinds of words do they use to explain the passing of time and how do they manage their time? Use some of the journal entries on this website to construct a ‘day in the life’ recount of a passenger. Show details of how the day is structured to include meal times, sleeping, chores and other daily routines. Think of examples of how these factors affected the daily activities of those onboard our ships. For example: due to the fire danger imposed by oil lanterns there were strict rules about the times of day that these could be lit. Use your ideas to compile a timetable or schedule that could be followed by the passengers onboard one of our ships. Which activities are compulsory and are there times during the day where passengers can choose how they spend their time? 2. Look at a calendar from 1836. How does this compare to our 2011 calendar. How do you think people onboard our ships kept track of the passing of days? Make a list of all the ways you know what day and date it is. Are there regular events that happen in your week that help you organise your time; television programs, weekends, sports practices etc. If you didn’t know what the date was today how could you find out? 3. Plan an activity for your class that runs for exactly half an hour. How will you time the activity? Work in small groups to design a time keeping device that can measure half an hour. Which device is the most accurate and why. Here are some ideas to get you started. 4. As a class record the routines and schedules of a particular day in your classroom. Plan to run the school day as much as possible in reverse order. Share observations about the day. What happens if your morning routines are done at the end of the day? What if you eat your lunch at morning recess time? 5. Reflect on week 7 to revisit the jobs or chores that were completed by passengers every day onboard an 1836 migrant ship. Write each job on a separate card and sequence the chores according to the order they need to be completed each day, their order of importance and the order in which you would be happy about doing these chores. Repeat this activity with a list of jobs or chores that need to be done everyday at your home in 2011. What similarities and differences do you notice? Imagine what would happen onboard if passengers ate their meals, did their chores and engaged in leisure time activities whenever they felt like it. Passengers had a lot of spare time onboard. Passengers should have been able to eat whenever they were hungry. It was important that passengers follow the same routine everyday. It is boring to follow the same routine everyday. Next week we will check in with the Buffalo where we will find three weddings taking place. We will take a look at the concepts of weddings and marriage, from traditional English weddings in 1836, to the weddings from different cultures, ethnic groups, religions and countries in present times.